In the bar business draft problems often develop when the house is packed and there is absolutely no possibility of reaching the one or two staff draft experts. The best way to tackle draft problems is to be prepared. It is prudent to create a troubleshooting guide to your draft system and educate your staff in the basics of dealing with draft beer. A guide can be a helpful training aid as well as a critical reference manual for answering mechanical questions and enabling other staff to temporarily repair the system until your draft expert is available. Carbon dioxide is a critical component of beer. The lovely, lacy head; the tingle on the tongue; the sound of the bubbles are all integral to the enjoyment of beer. Maintaining the carbon dioxide at the desired level is crucial to a draft dispense system. To understand how to keep this balance, a basic knowledge of the factors that affect carbonation is necessary. Understanding carbonation comes down to a matter of a few simple concepts in chemistry and physics. • The colder the beer is, the more carbon dioxide it can dissolve. The opposite is demonstrated by opening a warm beer and watching it fob all over the place. • The higher the pressure in the dispense container, the more carbon dioxide will dissolve in the beer. Common sense; if you want to fit more in there, push harder. • The smoother the surface in contact with the beer, the more likely the carbon dioxide will stay in the beer. Take two glasses. Sand the inside of one with 100 grit (fairly coarse) sandpaper. Pour beer into both. Which one foams up more? What is happening is that dissolved carbon dioxide needs a rough spot called a nucleation site to form a bubble. Clean beer lines and beer-clean glasses (see Beer-Clean Glasses, page 12) have fewer nucleation sites and therefore keep the carbon dioxide dissolved in the beer, where it belongs. • Mechanical agitation can cause carbon dioxide to come out of solution. If you tap a keg right after it is delivered, the first few pints will be foamy, just like beer from a shaken can. • Cellar pressure changes take time to take effect. These basic concepts will help you understand the problems that occur with a draft beer dispense system. But it’s also helpful to know what the ideal properties are. The proper level of carbonation, in addition to its sensory augmentation of a beer, is critical to a good pour. Brewers measure carbonation as volumes of carbon dioxide. If a beer has two volumes of carbon dioxide, this simply means that if all of the carbon dioxide were removed from a beer at 68° F (room temperature) at sea level under normal atmospheric pressure, the space taken up by the carbon dioxide removed would be twice that of the beer. An ideal pour is best achieved at 2.55 to 2.65 volumes of dissolved carbon dioxide, although certain beer styles demand carbonation at different levels. A fresh, untapped keg starts with the correct amount of dissolved carbon dioxide. To keep the right amount after tapping, a balance between the temperature of the beer and the pressure of the carbon dioxide must be maintained. It does get more complicated than that, however. If the dispense equipment has been correctly installed, then a certain pressure is necessary to overcome the resistance of the dispense lines and taps. If the pressure is maintained properly, the carbonation level of the beer remains stable. If the pressure is too high, the beer will overcarbonate. If the pressure is too low, the beer loses carbonation. • No beer is coming out. When troubleshooting, always check the most obvious thing first. Is the keg empty? If it is, you will feel a rush of gas coming from the faucet as gas escapes from the keg through the line. Is the coupler on the keg correctly? Is the carbon dioxide tank connected, is it full, and are the toggle valves open? Is the line frozen? • Flat, headless beer comes out. The head goes away too quickly or doesn’t form to begin with. Check the regulator gauge for proper setting. Is the beer glass clean? If the head forms, then quickly disappears, the chances are that the glass is to blame. Head on beer is quickly destroyed by oils, so greasy food and lipstick can ruin beer foam. Did you pour properly? • Foamy, overcarbonated beer comes out. Is the keg empty? Is the regulator set to the proper pressure? Is the keg storage temperature at the proper temperature of 36° to 40° F? Has the keg had time to settle? Did you open the tap all the way? On a long-draw system, is the coolant cold enough? The glycol reservoir for the coolant should stay right around freezing, plus or minus two degrees. • The beer starts out fine, but then the line “burps.” There is a warm spot, kink, pinhole, soil deposit, or bad seal somewhere between the keg and the faucet. A full keg might be sitting on the hose in the walk-in, crimping the line. Get the lines cleaned. Check insulation and seals. • The beer doesn’t taste right. Have the lines been cleaned recently? Beer lines should be cleaned at least every three weeks, preferably weekly. Are the glasses beer-clean? Is air being introduced to the beer somewhere? • The beer is darker than usual or cloudy, and it doesn’t taste right. Clean the lines. Check the expiration date on the keg. Has the keg been tapped for more than three weeks? Is the keg getting warmer than about 45° F during storage? • There are little black flakes or slimy chunks in the beer. Clean the lines. Clean and maintain the faucets. Don’t panic, though; these flakes and slimy chunks aren’t harmful — just disgusting. Sometimes a line cleaning will loosen deposits that appear in subsequent beers. • The first few pours of the day are all foam, but then it’s okay. This means that your pressure and temperature are not staying the same. If your beer cooler gets a lot of traffic during the day, the temperature will rise. Your gas regulator is set to give a good pour at the daytime temperature. Overnight the beer dissolves more CO2 because the gas pressure stays the same but the beer gets colder. If you can limit traffic by storing only kegs in your keg cooler, this will fix the problem. If you can’t do that, try hanging a slatted plastic air-barrier screen in the doorway to minimize cold-air loss. If this isn’t possible, try turning off the valve from the carbon dioxide regulator at night. Just don’t forget to turn it back on in the morning. • The last third of a keg is foamy. This is the same problem as above. As the beer is replaced by carbon dioxide in the keg, the area of contact between the gas and the beer stays the same, but the volume of beer is smaller. This allows the beer to dissolve the gas more quickly. When thinking about getting your beer lines cleaned, remember this important rule: Beer lines should be replaced at least every five years. No amount of cleaning or servicing will help lines that are totally shot. Ideally, beer lines should be cleaned between each keg, and once every three weeks at the minimum. Over time beer will produce mineral and protein deposits in the draft lines. Bacteria and molds can work their way into the lines, and yeast can form colonies as well. The responsibility for line cleaning is ultimately yours, but the distributors, brewers, and even independent contractors might be involved. Line cleaning can be done with several solutions and contraptions. The equipment is available relatively inexpensively through draft suppliers. One cleaning option is to use a chlorinated alkaline cleaning solution dissolved in hot water as a cleaner and a rinse with baking soda and food coloring dissolved in cold water. This colored baking-soda rinse is ideal because the baking soda provides a buffer between the heavily alkaline cleaner and the acidic beer. The baking soda also helps to remove odors. And it releases carbon dioxide when in contact with beer, which forms a barrier between the beer and the rinse solution and helps purge the solution out of the lines. The food color and salty flavor of the baking soda let you know when the lines have been completely rinsed and you are pouring pure beer again. Just to prove that this isn’t a waste of time, pour a glass of beer before and after line cleaning and compare them. If your lines needed cleaning, you will taste a huge difference. If you’re cleaning them often enough, there shouldn’t be much of a difference. The faucets should be cleaned at the same time as the lines. You also need to keep a spray bottle filled with either a) your glass sanitizer mixed according to manufacturer’s instructions or b) a solution of one part bleach to nine parts water. As part of your closing ritual, spray out all of the beer faucets with this spray bottle. Doing this will prevent unwanted bacteria, mold, and yeast growth. 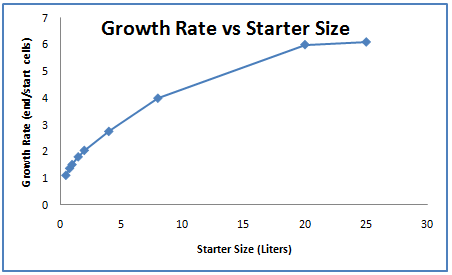 Price, presentation, and variety are compelling reasons to sell draft beer over bottles. Remember that draft system problems are generally fixable or preventable with minimal maintenance. Many of these problems are only encountered early and go away when you get your system properly tweaked. In a clean sink, wash the glasses with a low-foam glass cleaner. Rinse thoroughly with fresh water. Sanitize with the minimum amount of sanitizer required (according to label instructions). Use test strips to ensure the proper level of sanitizer. Dry the glasses in a way that allows airflow inside the glasses, such as on a drying rack. Finally, rinse the glasses with cold water before filling them with beer. A perfect pint of beer starts with a just-rinsed, beer-clean glass held a half-inch to an inch below the faucet. Tilt the glass 45° and open the faucet all the way, pouring down the side of the glass. When the glass is half full, stand it straight up and continue pouring directly into the center of the glass. Quickly close the faucet, leaving a three-quarter-inch head at the top of the glass. This thick, creamy head should leave lacing on the glass as the beer is enjoyed. Beer faucets are designed to be opened all the way every time. Opening a faucet only partway makes the flow turbulent, supplying nucleation sites and making the beer fizz up. Achieving the ideal pour depends on starting with beer from a fresh, cold, properly carbonated keg. The beer must then be pushed by clean, appropriately pressurized carbon dioxide through a coupler with good seals that connects to a smooth, recently cleaned, temperature-stabilized, leak-free line through a clean faucet, and out into a beer-clean glass. John Kater was brewmaster of the Southside Cellar Brewing Co. in Birmingham, Ala., when this article appeared in BrewPub Magazine. Posted in Beer resources & mythbusting | Comments Off on Draft Problems? How many kegs will I get from a CO2 tank? As a general rule of thumb, it takes about a ½ Lb of CO2 to dispense a ¼ barrel of draft beer and 1 Lb of CO2to dispense a ½ barrel of draft beer. 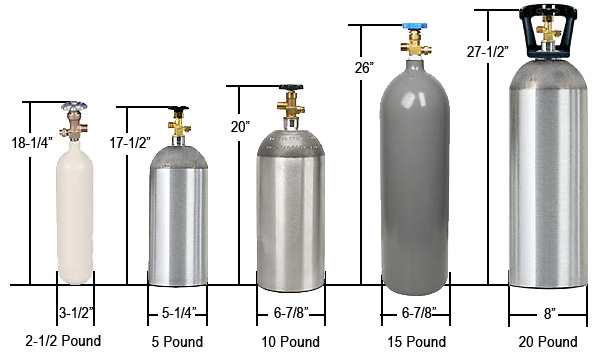 This table lists the approximate number of kegs that can be dispensed from each size of CO2 cylinder. A gas tank that is properly filled should read about 750 PSIG when the cylinder is at a 72°F temperature. CO2 gas pressure increases when it is exposed to heat, so if the gas tank temperature is above 72°F, the pressure will read higher than 750 PSIG. If the gas tank temperature is colder then 72°F, the pressure will read lower then 750 PSIG.The tank pressure should read 750 PSIG until the liquid CO2 in the cylinder is gone, and the tank is almost empty. A decreasing pressure indicates the cylinder is nearly empty. *Note: this depends on properly carbonating your beer…many will run reduced pressures in their meisters for less “head” & therefore will get a few more kegs/lb of co2. This is a general guide. Posted in Beer resources & mythbusting | Comments Off on How many kegs will I get from a CO2 tank? Some time back I had Chris White from White Labs as a guest on the BeerSmith podcast, and read his excellent book Yeast: The Practical Guide to Beer Fermentation (Brewing Elements Series) (Amazon Aff Link). I also did quite a bit of research while developing a yeast starter tool for the next version of BeerSmith. 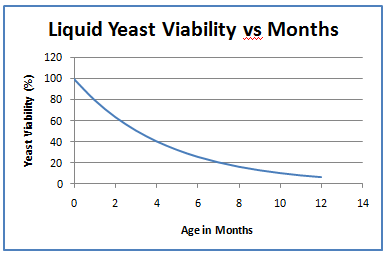 In both cases, I learned a lot about yeast starters and how to properly calculate and size them. I thought I might share this knowledge with you. Posted in Beer resources & mythbusting, Homebrewing | Comments Off on hmm what Hops to use? Let the HopWheel help! to Krausen or not to Krausen?…that is the question. Krausening is a traditional German method for carbonating beers without using sugars or other adjuncts. Instead actively fermenting malt wort is added to the fermented beer to provide the malted sugars needed for carbonation. The “Reinheitsgebot”, or German purity law, originated in Bavaria in 1516. It specifies that beer may only be made from the three basic ingredients: malt, hops, and water. Interestingly yeast was left out of the original law as it was unknown until Louis Pasteur discovered microorganisms in the late 1800’s. It was recently replaced by the “Biergesetz” in 1993, which also allows the use of malted wheat and cane sugar, though the term “Reinheitsgebot” is more commonly used. Since sugars were not allowed in beer, malt wort was used instead. Krausening was widely used in Germany particularly for lagers. Many lagers are cold fermented and aged, often causing the yeast to go dormant. By adding actively fermenting wort for carbonation the lager could be properly carbonated. Krausening was less commonly used in Kolsch or Alt, as these ales were fermented at warmer temperatures leaving active yeast. In a brewery, krausening would be done with fresh wort taken from the most recent batch made. For the homebrewer, Krausening is most often done with a small amount of wort made from dry malt extract. Alternately you can use a fresh batch of wort or keep some wort in a sterile container in the refrigerator from your last batch. For example, if the krausening addition of wort (also called gyle) has a specific gravity of 1.060, and we’re krausening 5 gallons of beer, the result would be (12 x 5)/((1.060-1)*1000) which works out to exactly one quart of wort we add at bottling. Traditionally, the krausening addition is added at the most active point of fermentation. Ideally you should add yeast to your krausen and monitor it for active fermentation, but try to catch it before a lot of the malt sugars have been consumed. You need to measure the specific gravity of the krausening addition and do the above calculation before adding it to the wort to get the appropriate amount. After you add the krausening wort, you can bottle or keg your beer and naturally carbonate it just as you would if you were with sugar carbonation. Store your beer in a cool, dark place for a week or two to allow it to carbonate and then lager or age as desired. Krausening is a great way to add some variety to your beer brewing techniques, and assure that your beer is made from pure barley malt. Posted in Beer resources & mythbusting, Homebrewing | Comments Off on to Krausen or not to Krausen?…that is the question. Posted in Beer resources & mythbusting, Homebrewing | Comments Off on BeerSmith on gettin’ Oaked! Posted in Homebrewing | Comments Off on Nothin wrong with K.I.S.S. principle Brewing! Why do I need a Hydrometer anyway? Posted in Homebrewing | Comments Off on Why do I need a Hydrometer anyway? RIMS & HERMES…the next step? Recirculating mash systems such as RIMS (Recirculating Infusion Mash System) and HERMS (Heat Exchanged Recirculating Mash Systems) are advanced beer brewing systems that use a pump and heating element to maintain a stable mash temperature during brewing. RIMS and HERMS are the two most popular, though many other systems exist. So this week, we take a look at these more brewing systems and how they differ from simple infusion mashing. Most brewers switching to all grain start with a simple infusion mash system – made of some kind of cooler with a filter screen or tubes added to create an insulated mash tun. Another all grain setup gaining in popularity for first time brewers is Brew-in-a-Bag (BIAB) (podcast). Both of these systems offer simplicity at a reasonable cost, and both give you a method to maintain a steady temperature during the mashing process. The cooler retains heat, and for BIAB you can apply heat directly to the kettle. The limitations of the simple cooler or BIAB setup become apparent when you try to work with much larger home brew systems. While its relatively easy to transfer 5-6 gallons of hot wort by dumping or siphoning it, or manage 10 lbs of grain in a bag, brewing at larger scales of 10, 15 or 20 gallons starts to make transferring large quantities of hot wort and grain by lifting very difficult. Also its difficult to find coolers large enough to support these batches. As one scales up to larger brewing systems, pumping wort and water around becomes a necessity for most brewers, and most sophisticated all grain setups use three large vessels – one for the mash, one for the boil and one for hot water used during the infusion and lauter. Large converted Sanke kegs with the tops cut off are common, though many also use high end stainless steel pots. Pumps are used to transfer wort and water between the various components. If we consider the problem of keeping a large 15-20 gallon stainless steel mash tun at a constant temperature for the an average 60 minute mash, other problems arise. First, most stainless vessels are not insulated, and conduct heat relatively well. The old technique of heating an infusion and letting it sit in the cooler we used for smaller batches might not work as well in our large stainless pot or converted keg. A second problem is that the larger volume is more likely to develop hot and cool spots in the mash tun over time – again making it difficult to achieve a consistent temperature across the entire grain bed. A recirculating mash system addresses both of these problems using the pump mentioned earlier. Rather than infusing hot water and letting the mash tun slowly cool, a recirculating system uses a pump to constantly recirculate and heat the water to maintain temperature and also avoid hot spots. Typically a controller is used to turn on and off the heat source in the pump line to maintain a constant mash temperature. The temperature can be maintained very close to the target temperature even in an uninsulated metal mash tun – particularly if you use an electronic controller. Often the mash temperature can be controlled much more precisely than a typical infusion cooler. Overall the mash is more consistent and repeatable for large batches than a non-recirculating infusion. Repeatability is important when working with large home brewing systems or advanced systems that may serve as pilot batches for commercial microbrewers. The recirculating mash systems (RIMS/HERMS) vary in how they heat the recirculating wort. A RIMS system uses direct heat on the tube to heat the wort as it is recirculated. The heat source may be electric or gas, but the wort is heated as it passes through the tube and is pumped during recirculation. The pump keeps the wort moving through the tube at a steady rate to avoid scorching it. The pump must run continuously during the mash when heating, though the heater itself is often cycled on and off to control temperature. A risk with the RIMS system is scorching the wort if the pump fails for some reason. In a HERMS system the wort is passed through a heat exchanger. The most common type of heat exchanger is an immersion setup (much like an immersion chiller) where a coil of copper tubing is immersed in a hot liquor tun. In this type of setup the hot liquor tun is often kept at a constant temperature slightly above the target mash temperature and the pump is cycled on and off to maintain the temperature of the mash. 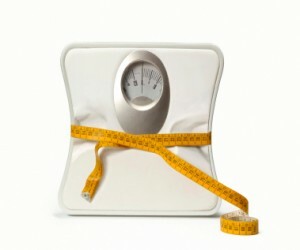 Which one best fits your needs is up to you. Often a RIMS system is easier to physically construct, but you need a variable heat source (one that can be turned on and off). A HERMS system requires more equipment (often a coil immersed in a large pot) but can be regulated by simply turning the pump on and off. Both offer similar overall performance for the advanced brewer. Posted in Homebrewing | Comments Off on RIMS & HERMES…the next step? Old Ale is a English beer with a dark, malty profile also called “Winter Warmers”, “Stock ale”, “Keeping Ale” or “Dark Ale” in Australia. It was traditionally served along with mild ales, and sometimes blended with mild at the tap to suit a customer’s preference. This week, we’re going to talk about how to brew old ale at home and cover a few homebrewing recipes for old ale. Old ale has its origin in English pubs where the sharper, stronger “stock ale” was often blended with sweeter mild ale. Old ale was frequently cask aged for extended periods, often giving it a slightly sour, lactic taste due to contamination of the casks with lactic bacteria. At one time Old Ale was made from simply storing mild for extended periods in casks and selling it at a higher price, though over time old ale developed into a style of its own. (ref: Wikipedia) Variants of old ale are thought to have formed the basis for India Pale Ale. A variation of old ale called Winter Warmers is a more modern style that has a slightly maltier, darker and full bodied character. Winter warmers are brewed in winter, are darker (though not as dark as stout) and have higher alcohol content (6-8% and sometimes as high as 10%). Some US winter warmers also are brewed with spice additions. Old ale has medium to high malt character and a complex flavor profile that often includes caramel, nutty or molasses flavors. Light chocolate or roasted flavors are also common. The overall balance is malty though it may be well hopped. Fruity esters are common as in many English ales. Extended aging may give it a lactic (sour), or aged wine character and alcohol strength may be evident. It is generally full bodied with low to moderate carbonation. Color can be light amber to dark reddish brown (SRM 10-22). While most are quite dark and may darken further with aging, they generally are not quite as dark as stouts. The grain bill for old ale starts with copius amounts of well modified English pale malt. Typically this makes up the bulk of the grain bill. Darker caramel malts give old ale its color and character – frequently from a mix of various color caramel malts with sparing character malts. Small amounts of chocolate or black malt may be used, but they must be used sparingly to avoid an undesirable roasted character. Adjuncts such as molasses, treacle, invert sugar or dark sugars raise alcohol content along with high protein adjuncts such as flaked barley, wheat and maize (for body) are often added. English hop varieties are often used for bittering. Aroma, finishing and dry hops are rarely needed as the extended aging tends to negate the effect of hop aroma additions. 30-60 IBUs of bittering is recommended to balance the highly malty old ale flavor. A high temperature (full bodied) mash (around 156F) is appropriate. A single infusion mash is sufficient as the highly modified pale malt will convert well during the mash. English ale yeast is used for fermentation at traditional ale temperatures. Some care must be taken to choose strains that can handle the higher alcohol content found in some stronger old ales. Old ale is aged for extended periods (many months and sometimes years) and was traditionally stored in large wooden casks. Oak chips or wood chips may be appropriate depending on your preference. Some versions also had a slight lactic sourness from aging which could be duplicated with judicious use of lactic acid, lactic bacteria during aging or the addition of a small amount of soured beer. Keep in mind that the sourness is not a dominant flavor. Parti-Gyle brewing is a method for making more than one batch of beer from a single all grain mash. It offers tremendous flexibility since you can brew two beers of different gravities, and also add different hops and yeast to create distinct beers from one brewing session. Parti-Gyle brewing is not a new method. The method goes back hundreds of years, and many modern sub-styles are examples of light and heavy versions made from a single mash. Examples include the various weights of English and Scotch Ale, various grades of Bock, and even variations of Trappist ales. In the 1700’s and 1800’s it was very common to create a strong beer from the first runnings of the mash and a lighter common beer from the second runnings of a mash. The standard method for Parti-Gyle brewing is to make two beers from a single mash. Typically a fairly high gravity beer is made from the “first runnings” of the mash, and the second runnings are boiled separately to make a lighter beer. Often different hop additions, boil additions and yeast are used to create distinct styles from the two runnings depending on the brewer’s preference. When designing a parti-gyle beer, one is usually concerned with gravity and color of the two beers being created. This is important for determining how much grain is required for each beer and also how much liquid to run through each to achieve a target boil gravity. The rule of thumb for an average mash is that 2/3 of the gravity potential is in the first 1/2 of the runnings. This is due to the fact that most of the high gravity wort comes in the first third of the lauter. One common parti-gyle split is 1/3 volume for the first runnings and 2/3 volume for the second which results in a first batch of beer that has twice the points that the second batch will have. So for example if the total mash had an estimated original gravity of 1.060, we would expect the first 1/3 to have a gravity of 1.090 and the second to have a gravity of half the points or 1.045. For a 50-50 split by volume, with half of the wort in each batch we get a roughly 58% of the gravity points in the first batch. So a 1.060 overall batch OG would translate to a 1.070 first runnings and 1.050 second runnings, with both of equal size. To perform these calculations yourself, start with the OG estimate of the mash runnings using conventional methods. This can be done using the method described here, except you use the mash efficiency and total lauter volume instead of the overall brewhouse efficiency and overall batch volume to get your mash OG estimate. Using the same equation, you can come up with an accurate estimate for the gravity of each of the runnings based on the original gravity of the overall batch. It should be no surprise that the color of the two batches in a parti-gyle will be darker for the first runnings and lighter for the second in most cases. Calculating the actual color for a regular beer is described here, and is based on the Malt Color Units (MCUs) which are simply the sum of the pounds of malt times their color for all grains in a batch. Since the Morey equation is not linear, you will see a larger color difference for a parti-gyle beer when working with lighter beers. So for a very light beer and a 50-50 volume split, the first runnings will be almost twice as dark as the second runnings. However as the beer gets darker the difference will be smaller – to the point where the second runnings of a Stout beer might have no perceivable difference in color from the first. Once you have mashed your parti-gyle beer and taken the two runnings, the rest of the brewing process is the same as with any other beer. Obviously the two runnings are boiled separately so you either need two boil pots and heat sources or a sterile way to store one of the runnings for a few hours while you boil the other. One of the great features of part-gyle brewing is the ability to change the character of the beer in the boil and fermentation. By adding different hop additions, yeast, spices or steeping additional grains prior to the boil (much like an extract brew) you can dramatically change the character of the two beers produced. With a little imagination you really can create two distinctly different beer styles from a single brewing session. For design purposes it is usually best to treat the two runnings as separate beers at this point, and the usual rules for estimating bitterness, final gravity and fermentation apply. The design possibilities are nearly endless. You could create a strong ale and bitter, a wheat bock and weizen, a brown and pale and many other combinations from a single mash. Posted in Beer resources & mythbusting, Homebrewing | Comments Off on One brew 2 beers? Posted in Beer resources & mythbusting, Homebrewing | Comments Off on Does hose size matter? Sure it does. If you feel like adding a little twang to your brew, try adding bugs! This week the BeerSmith goes over Souring your homebrew. Brewing with sour beer at home involves taking a portion of the wort from your mash (or for extract brewers, a portion from the boil) and setting it aside and either adding souring yeasts such as Lactobacillus or letting it sour naturally.Personally I recommend getting some Lactobacillus culture such as Wyeast Labs #4335 “Lactobacillus Delbrueckii” as natural yeasts and bacteria can often go awry. For Lambics, Wyeast #3112 “Brettanomyces Bruxellensis” or Brewtek’s “Brettanomyces Lambicus” are often used with other yeasts as part of the main fermentation or part of the fermentation. The spoiled wort is then pasteurized by heating it and added back into the original beer to give a slightly sour character to the beer.This will add character and a lactic sourness to the beer, which is desirable for many styles. If you are brewing an all grain batch, a portion of the runnings from your mash tun should be collected and set aside in a separate container.For something like an Irish Stout, I typically would set aside 1/2 quarts of wort from the middle runnings of the mash and set it aside for a 5 gallon batch. A good rule of thumb is that your spoiled wort should only make up about 3-4% of your total finished volume for stouts, and up to 25% of your volume for a Flanders Brown Ale, though I recommend starting with less and blending to taste. If you use too much you will end up with excessively sour beer. Once you have collected your wort, simply set it aside in a small closed container and continue to brew the remainder of your batch in the normal way.For the sour portion I prefer to simply add a small amount of Lactobacillus bacteria strain to the wort, apply an airlock, and let it sour in a cool, dark location. The soured wort will quickly get a sour smell, and likely a disgusting film over the top.After a few days it should be thoroughly infested and largely fermented.At this point, carefully siphon or skim and pour the liquid, attempting to leave as much of the scum and sediment behind as possible. Place the soured wort in a pan and heat it to 170F and hold it there for at least 30 minutes.This will pasteurize the soured wort to kill off the bacteria and yeast without destroying the sour lactic acid flavor you want in your beer. Rapidly cool the sour portion, being careful at this point to handle it with sanitized equipment.Siphon or very gently pour the soured wort into your already fermenting main batch, and continue fermenting, aging and bottling the beer as you normally would. Done properly, the sour mash method will produce a slight, but not overly pronounced sour edge to your beer.In styles such as classic Irish Stout, the sourness helps to enhance the overall flavor mix of stout roast barley and English hops. For Flanders, this provides the classic sour twang. This technique can also be used to sour some more sophisticated Belgian styles, though brewing a complex beast like a Lambic is beyond the scope of this particular article. I hope you enjoy adding a bit of sour twang to your next homebrew. Posted in Homebrewing | Comments Off on Gotta’ have that funk!